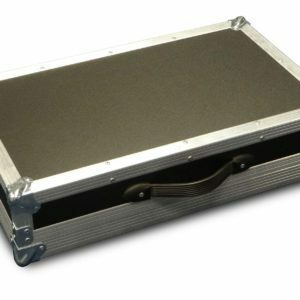 A tv screen flight case is the perfect solution for transporting your fragile television screen to exhibitions, presentations and trade shows. The tough, rugged construction of our flight cases will ensure your screen is fully protected whilst in transit. This case is made to order. Please tell us the make and model of your TV when you order. Also please tell us if your tv has no stand. 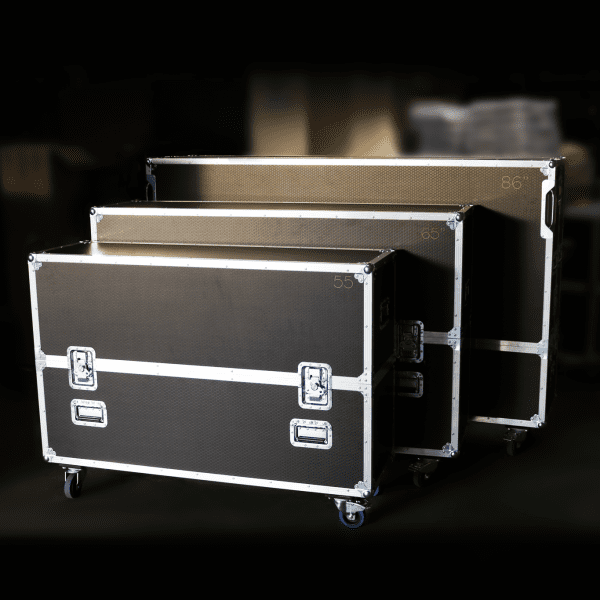 9mm phenol coated birch plywood flight case manufactured using only the best fixtures and fittings. 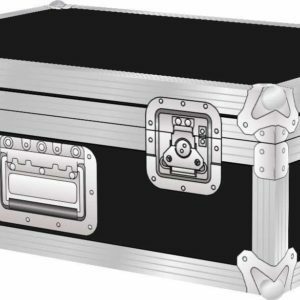 The tough and rugged exterior will stand the test of being shipped to exhibition and trade shows. Internally your screen is protected by high density foam blocks in order to give great protection and a snug fit. 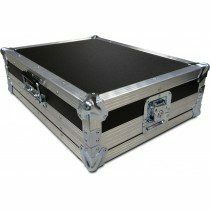 This flight case is great for protecting valuable screens from damage when being shipped or in storage.